Sears continues to shrink. The once iconic American retailer is closing 28 more of its Kmart stores later this year. The new store closures are on top of 180 Sears and Kmart locations that have already been shuttered this year. 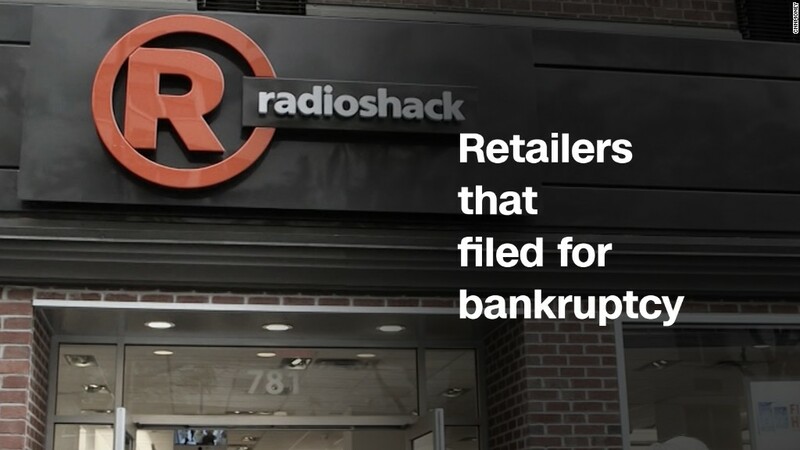 The company had previously announced that another 150 stores will close by the third quarter. Sears now has 1,250 stores overall in the United States -- 650 of them are Sears branded and 610 are Kmart locations. A year ago, Sears at 709 Sears stores and 883 Kmart stores. The company did not say how many jobs would be affected by the new Kmart closings. But Sears announced 400 layoffs in June. Sears (SHLD) made the announcement in yet another bleak earnings report. The company said Thursday that it lost $251 million in its second quarter. Total revenue fell 23% and same-store sales, which measure how well locations open at least a year are doing, plunged 11.5%. Sears is facing many of the same challenges that Macy's (M), Kohl's (KSS), JCPenney (JCP) and other department stores are -- growing competition from Amazon (AMZN) and a revitalized Walmart (WMT), which has stepped up its online shopping efforts in the past year. That's why Sears has been busy slimming down and taking other actions to try and turn around the company. Sears has sold its Craftsman tool business to Stanley Black & Decker (SWJ)and is licensing its famous Kenmore appliances and Diehard auto parts businesses to other retailers, as well in order to raise much needed cash. Related: Does anyone shop at Sears? Sears also recently announced plans to sell Kenmore products on Amazon. The company has spun off pieces of its Sears Hometown and Outlet Store (SHOS)division, Lands' End (LE) and Sears Canada (SRSC) too. Sears Canada filed for bankruptcy in June. Sears even set up a separate public company for some of its real estate assets -- Seritage Growth Properties (SRG). Warren Buffett has personally invested in that company. But it's not a holding of Buffett's Berkshire Hathaway (BRKB) though. And Sears has started to repair its balance sheet lately too. The company said Thursday that it now has $442 million in cash, up from $286 million at the end of January. Sears also cut its debt load during the past few months. It now has $3.5 billion in long-term debt, down from $4.2 billion in January. Sears has slashed its inventories too as it continues to close stores. Shares of Sears surged more than 10% Thursday morning on the news before pulling back a bit later in the day. But the stock is still down more than 35% in the past 12 months and nearly 80% in the past five years.